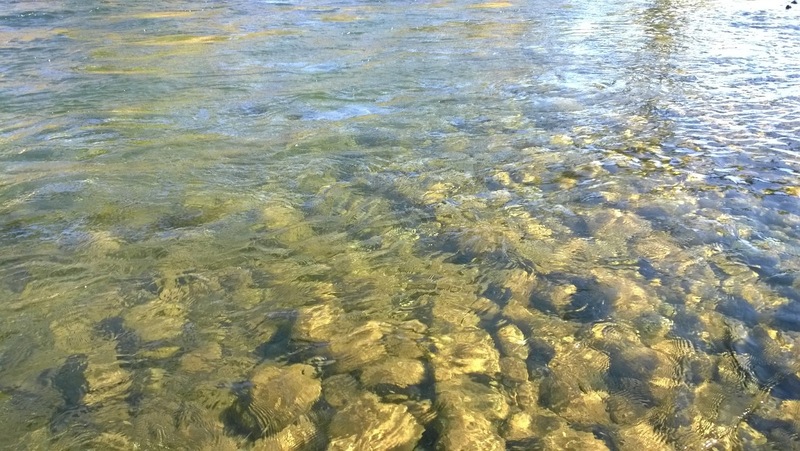 The Yuba is pretty much fishing the same as it was this summer probably a little worse due to the lowered flows. From my experience fishing the Yuba over the past few years, I've found that Indian summer days are the most difficult conditions to fish the Yuba. Something about cold mornings and hot afternoons put these fish down in a bad mood. 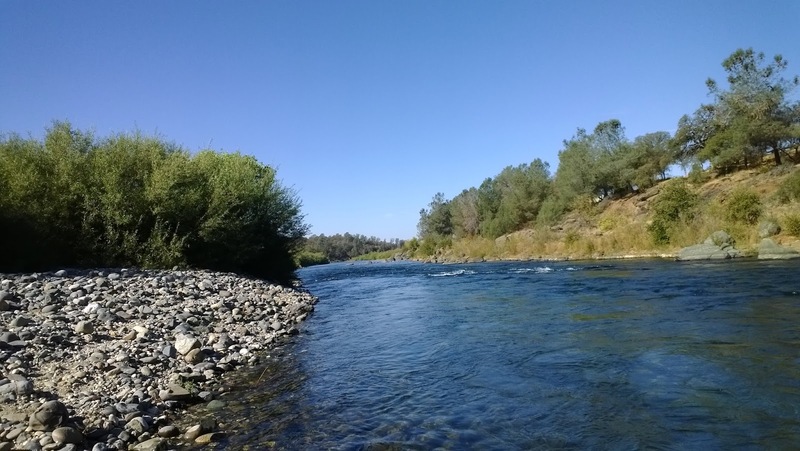 Poor reports have kept anglers away from the Yuba these past few weeks. The fishing is slow and the bugs aren't doing much. The fish are still around and willing to eat but they'll make you work hard to catch them. It's not a numbers game this time of year. Although the salmon are around in particular runs and tail-outs, I must have counted less than fifteen today. The water is too warm for them to start dropping eggs so it'll be a few weeks before the egg-bite starts here. How warm is the water? I wet waded the entire day. The water is not cold enough. I started below the bridge pitching nymphs with no indicator. After going through several different flies and fishing the run for about four hours with no takes I gave up nymphing. It was streamer time. I like fishing streamers because I can cover a lot of water and find the most aggressive fish. When nymph fishing I feel stagnant and slow. By the time I'm done fishing a run, several hours have passed with not even a nibble. Very frustrating. Streamer fishing is the most hook-up/time efficient way for me to fish during tough conditions. My Hero Sculpin always does the trick. My day ended with four hook ups but none landed. They felt like two nice size fish and two smaller ones. Not too shabby. I'll get them next time. My recommendation is not use 8# mono as your leader off your versileader when streamer fishing. Its too flimsy and the slightest bit of slack will lose you a hooked fish. I'm going to wait until fall truly gets here before I head back the the Yuba. I am sad to say that largemouth bass season is officially over for me. After fishing Secret Pond for a bit, I found no takers. The fish are usually closer to the bank but they have migrated down and become lethargic.